Freakangel – How the Ghost Became..
Born out of the depths of Suicidal Romance, covered in grime, dirt and heavy riffs come Freakangel. 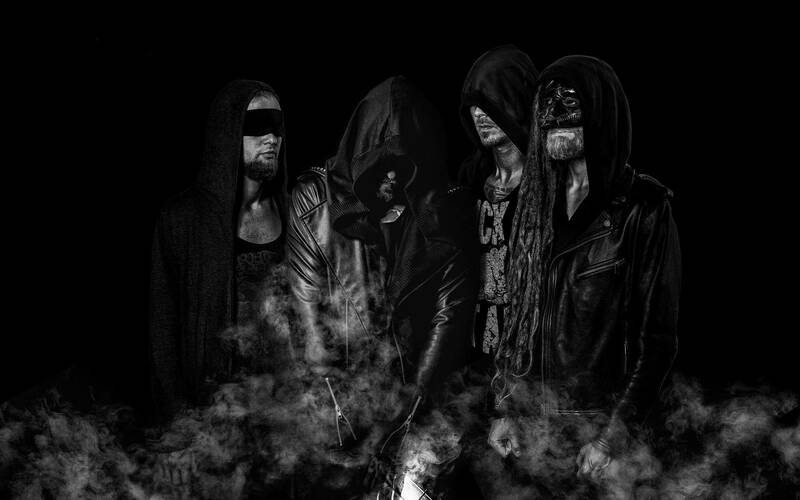 Taking influence from bands such as Combichrist, Nine Inch Nails and Fear Factory, they reach to the darker side of the industrial metal genre with heavy drums, dark vocals, darker synths and thrashing guitars but yet, still incredibly polished. The first track on the album ‘Mardyakhor’, opens with industrial feeling guitars and synths, bringing a very strong opening to an incredible album, it almost feels like Combichrist and Rammestein‘s love child setting the scene for the rest of the album. Launching into the incredibly dance-worthy ‘Witness the Fall’ with its groovy dark wave synths and heavy baseline. ‘In the Witch House’ brings the menacing vocals to a high point, giving the darkness on this album an extra edge, stomping through the song is the heavy drums and the twisted synth sounds. Smashing into ‘Giving up the Ghost’ with an almost Faithless-esque opening, giving this track a serious dark wave feel to it. ‘Hell and Back’ contains incredible guest vocals from Meya Matzerath adding some serious angelic beauty to an otherwise hellishly dark album. All in all this fantastic album, is a real dark beauty, with twisted imagery and a very heavy feel to it, it definitely sets the bar and marks a very interesting evolution in the industrial genre, raw and feeling whilst evoking imagery of twisted blackened structures of a distopian universe. I would definitely recommend the album for any industrial fans.